It is tempting, as we approach the end of the year, to reminisce about the wonderful Christmas season, indeed, the entire year that we’ve just experienced. There have been so many wonderful events, enjoyed by so many of our delightful guests (yes, that includes you! ), that I can’t imagine trying to tackle that topic in the few paragraphs I have at my disposal. Instead, I’ll be looking ahead to the year to come. As hard as it is to believe that 2018 is nearly upon us, we’ve got a wonderful year lined up for you that I can hardly wait to tell you about. Cape May has established itself as an amazing year-round destination, which you’ll want to fully explore. There is absolutely no bad time for a Cape May getaway! Before completely moving onto 2018, though, I’m pleased to share with you that we still have a few rooms available for New Year’s Eve, as well as a handful of openings this week. 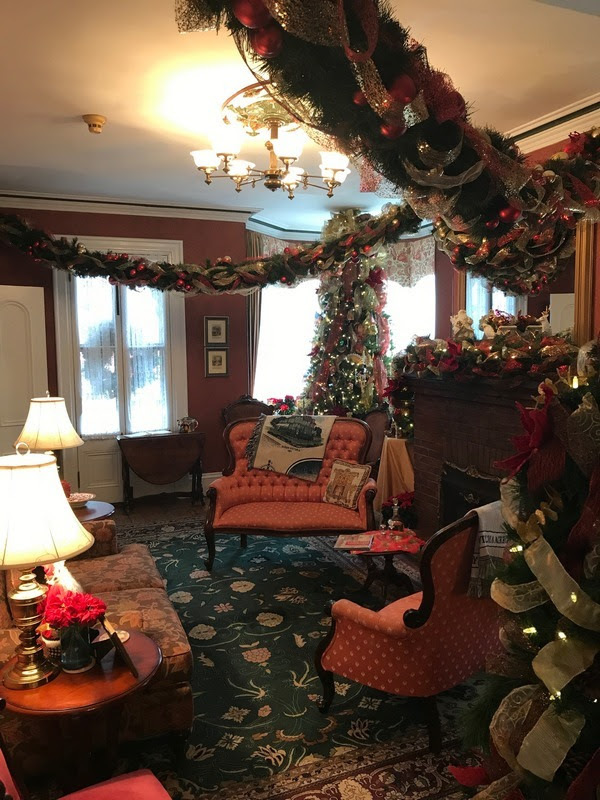 This may be the perfect time for a spontaneous trip to Cape May and experience our wonderful Christmas magic! If you’re seeking a large, relaxing, quiet, very private, comfortable, and elegant room, then you’d be hard pressed to beat our beautiful Whitehall room. Whitehall is all of the above and much more. Located on the 2nd floor of the very private Queen’s Cottage, this beautiful room is the perfect place to relax after a fun and adventure filled day in Cape May. Whitehall is one of our newest rooms, and certainly one of our most comfortable. Guests of Whitehall also enjoy the semi-private use (shared with the Brighton room) of the magnificent sitting area/parlor and kitchen sized pantry which has a beautiful vista view out of 6 windows facing the western, sunset side of the house. Experiencing the rays of the setting sun as they filter through the trees into the parlor is unforgettable! The 234 discount is by far our most popular discount. This offer includes 2 nights, Sunday through Thursday, in a standard room for $234 ($117/night) November through April, with holiday weeks excluded. Though the discount is designed and priced for our more modest standard rooms, similar savings are also available on larger, more elaborate rooms. This discount package is perfect for guests who are flexible in their schedules and can visit Cape May mid-week, during some of the most pleasant months of the year in Cape May. As you can see, there is a lot going on in Cape May during the Christmas season. I know that for many of you Cape May is already part of your annual Christmas tradition. If you haven’t experienced it before, I highly recommend working it into your calendar some day. This year would be a great time! After two wonderful events in the last couple of months, our medium extraordinaire Debbie Wojciechowski is already planning her return engagements at The Queen Victoria for 2018. Debbie’s ability to connect people with their departed loved ones is truly amazing. I have no idea how she does it, but you will be astounded at the level of detail and specificity of information she provides. If you yearn to connect with and hear from a departed loved one then you’ll want to experience one of these events for yourself. A few years ago we decided to throw a celebration weekend for one of Anna Marie’s significant birthdays. When it morphed into a birthday celebration for all of our guests with birthdays in the month of March (yes, Anna Marie is a Pisces), we knew we had come up with a fun way to enliven a few weekends during our cooler season. One weekend each month through April we turn afternoon tea into a birthday celebration with balloons, cake, party favors for everyone, and of course we sing “Happy Birthday”. We don’t discriminate against those not celebrating a birthday, but we do try to make all of our birthday celebrants for that month feel special. 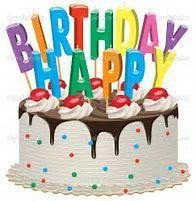 If you or the one you love has a birthday coming up in the next few months, and you just can’t figure out what the perfect gift is (besides a gift certificate to The Queen Victoria, of course), you might just consider booking a reservation for the appropriate month and celebrate in style at The Queen Victoria. If you love wine, especially red wine, then our Wine Lover’s Weekend might just be your perfect opportunity to enliven a dreary winter weekend with a visit to The Queen Victoria. Every year we host this fun-filled event at the Cape May winery in the barrel room pictured here. In 2018, 30 of our guests will gather for an afternoon of wine tasting, education, blending and great fun on Saturday, February 10. This really is one of the most enjoyable wine related events I can imagine. Yes, it’s back! Every March Anna Marie and I search for fun and different (but not too exotic) cheeses from around the world to share with our guests. We usually feature around 15 or 16 different cheeses, spread out upon our dining room table as shown in this photo. This is a fun and FREE event that we invite all our reserved guests to enjoy. I know that when I hear the word cheese, I almost immediately associate it with another favorite consumable … wine. Though we aren’t allowed to serve any wine at The Queen Victoria, we encourage our guests to bring a bottle to this BYOB event, and make the most of the occasion. We set all the wines down on the side buffet, and they become quite communal, so bring something nice to enjoy that you are willing to share with others. One of the most popular small scale events held in Cape May every year are the “Sherlock Holmes Mystery Weekends”, held in March, October & November. This wonderful event provides a full weekend of fun activities, without completely filling every moment of your weekend. Your weekend will get started with an evening reception on Friday night, where you’re introduced to Sherlock, Watson, and the rest of the characters with a stage performance introducing you to the mystery. On Saturday you’ll make your way through several B&B’s on a self guided tour searching for clues to solve the mystery, along with the cast (in character), whom you’ll be able to consult with in your quest. Following the tour you’ll enjoy the 2nd act of the stage presentation, where you’ll be able to see if you are on track to solve the mystery. Finally, on Sunday you’ll enjoy lunch with Holmes and the rest of the crew, where the solution to the mystery will be revealed. Prizes are awarded for the best solution, best costume (some folks do dress in “Holmes” attire for the event), and there is even a “Clueless Wonder” prize for the worst solution. It is all a lot of fun for everyone involved. This is an absolute must for the Holmes aficionado in your life. Don’t wait too long to book this, as this event sells out quickly every time. Booking Tip: Reserve your room at The Queen Victoria directly with us, as our direct rates are better than the package that MAC offers. If you love live music, then you should start making your plans today to experience the 11th Annual Singer Songwriter Cape May festival. It is a wonderful event filled with new and exciting musical talents who are working their way to the top of their profession. There will be over 150 performances throughout Cape May, with about 75 different performers. All but 2 of these performances, the main headliners on Friday and Saturday, are absolutely FREE! Once again this year, The Queen Victoria will be hosting an exclusive house concert featuring Avi Wisnia, one of the most talented and popular of the performers who have made the festival an annual part of their schedule. Avi performs for our registered guests during our afternoon tea on Saturday, March 24. His performance at The Queen Victoria is always a highlight of the weekend for all involved, including Avi and our attending guests. I know this event has become an annual tradition for many of you. In fact, we’ve already taken several reservations for this weekend. The good news is that we still have plenty of rooms available for the weekend, so there is still time for you to make your plans to enjoy this wonderful weekend of entertainment. 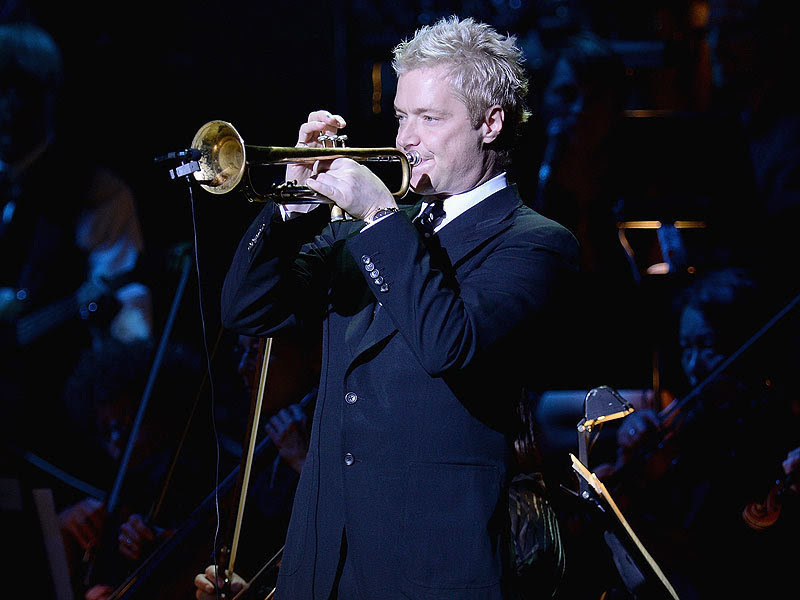 Yes, that IS Chris Botti, who I’m pleased to say will be headlining the festival on Saturday, April 21. The rest of the performers announced so far, though not as famous as Chris Botti, look to be a seriously talented group of musicians. I was tempted to post a photo of one of the other performers, Bria Skonberg, as she is quite an attractive lady, but I didn’t want to upstage Chris Botti, who is one of my longtime favorite musicians. Be sure to attend Ms. Skonberg’s concert that weekend, however, as she has a beautiful voice and an amazing command of the trumpet. Exit Zero Jazz Festival has easily surpassed the old Cape May Jazz Festival that was a staple in Cape May for so many years. In fact, the Exit Zero Festival is well on its way to becoming one of the premier festivals in the country. Of course, one of the things that makes it special is that it is held in one of the most charming, interesting, and fun places in the world … Cape May. What a wonderful excuse to plan a weekend in Cape May! I’ll be keeping you posted on the event as we get closer to it, but it is probably time to start making you plans to be in Cape May for this next event. The natural first step would be a reservation at The Queen Victoria, of course. We’ll be happy to assist you in that! 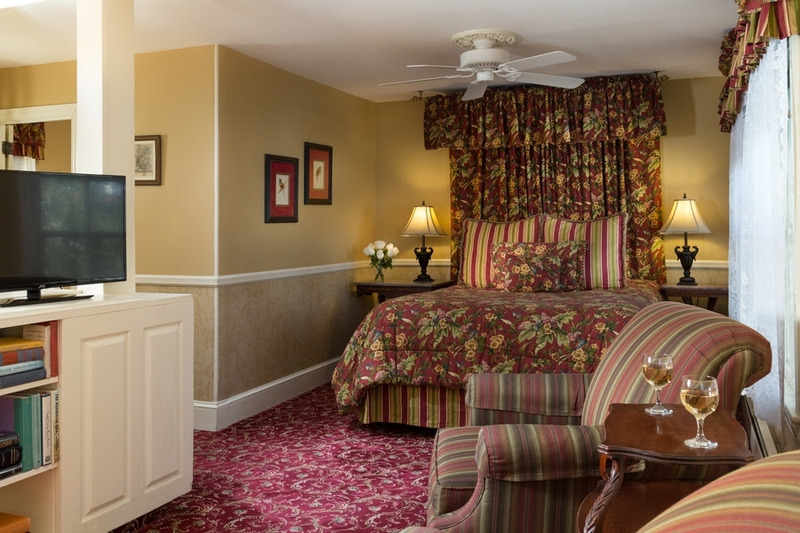 Book your room online, or call us at (609) 884-8702! I’m guessing that most of you are unfamiliar with our “secret” garden, which is located behind the Prince Albert Hall building. I guess that is how it got its name. Most of the folks that traverse it are making their way from the Library parking lot to one of the suites like Regent’s Park or Kew Garden. This fall, Anna Marie and I noticed that the plantings in the garden were getting a little tired. We also noted that the walkway, which was a series of (below grade) stepping stones, had a propensity to flood and get muddy. 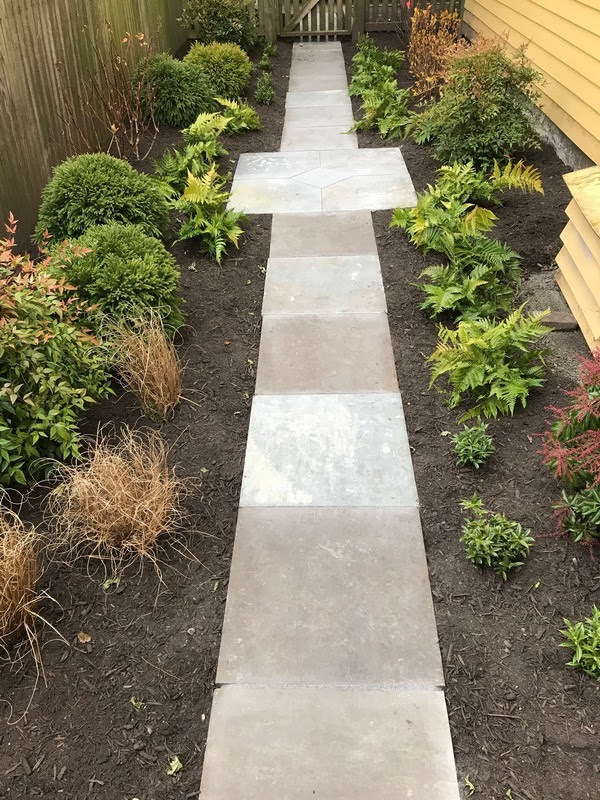 Even though we knew this garden is not all that visible, or even known to most guests, we wanted it to be beautiful none the less. I’m afraid that this photo doesn’t nearly do it justice. All of these plantings are fairly immature and certainly past their blooming season when they were planted a few weeks ago. By design, most are “ever green” (even the ferns! ), so you’ll be able to enjoy them throughout the year. Come springtime, and in years to come, I’m confident that this enchanting space will be worth a little exploration on your part to enjoy. If you’ve been following our newsletters for a while, then you know that Anna Marie and I are big fans of our new Rotary Park. As beautiful as the park is during the warmer months of the year, I have to say that it is stunning at night during the Christmas season (I do miss the water in the fountain, though). Not only are the trees and fences lined with Christmas lights, but the interesting purple lighting on the trees adds a magical quality to the scene. In the distance of this photo, you can see the gazebo, which has a beautiful Christmas tree decorated with who knows how many thousands of lights. Most assuredly, it is one of the most popular Selfie photo spots in Cape May. You’d be right if you guessed that Anna Marie and I took a couple of photos there moments after taking this one.